As part of your study you will uncover relationships and reconnect individuals in your place. Sometimes working out the relationship of one individual to another to another can be complicated if the relationship is ‘removed’ by several generations. Don’t worry! 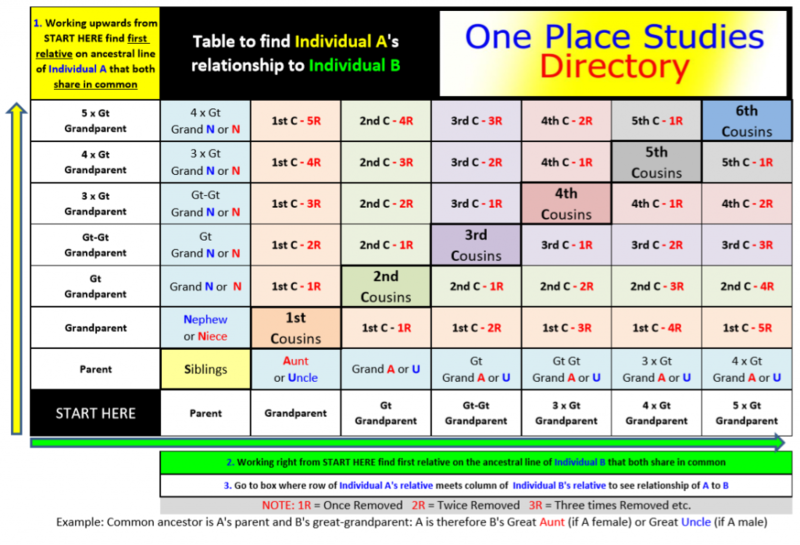 You can now use our Relationship Ready Reckoner to quickly work out one family member’s relationship to another. Click on the link below to download it as a pdf now!